Native Forest Organic Coconut Milk is produced in a facility that is both HACCP and Organic Certified, your assurance of product safety and organic integrity. In a fertile Thailand valley, hundreds of acres of certified organic coconut trees are naturally protected from outside contamination by surrounding highlands, while organic stewardship nurtures the overall ecology of the region. Organic coconuts are generally smaller than their conventional counterparts, but the organically managed trees are more drought-resistant and their soil is more rich and moisture retentive. We press the meat of these fresh organic coconuts, yielding an oil-rich extract that is mixed only with filtered water and a tiny amount (less than 1%) of organic guar gum from seeds of the guar plant. A staple of Thai and many Asian cuisines, coconut milk lends rich and creamy goodness to classic regional dishes. 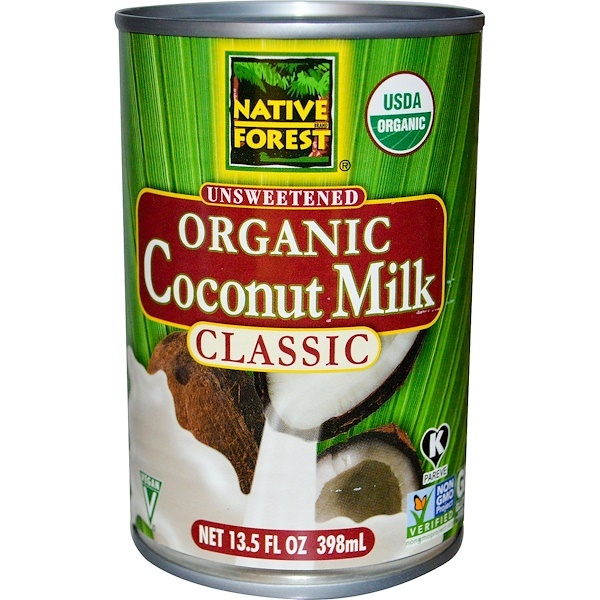 Perfect in soups, curries, sauces, desserts and beverages, Native Forest Organic Coconut Milk may be the most delicious coconut milk you have ever tasted. Organic coconut milk (organic coconut, water, organic guar gum). 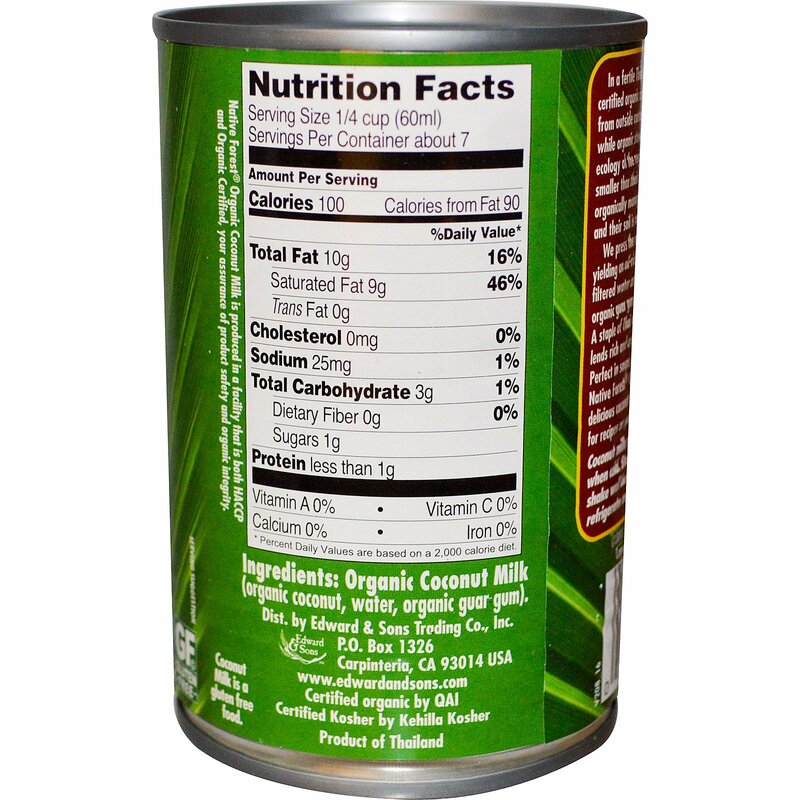 Coconut milk may naturally separate or solidify when cold. Store at room temperature and shake well before using. Once opened, refrigerate and enjoy within 4 days.